Wisma Volkswagen is adjacent to Dataran Maybank and Bangsar LRT Station. 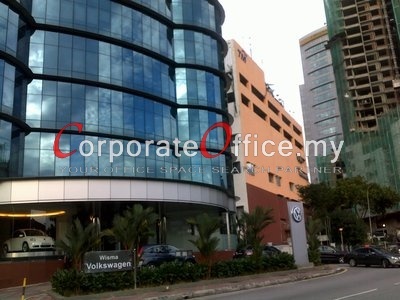 It is strategically located in Bangsar commercial hub. It is easily accessible by public transportations via Putra LRT and buses; and private transportation as it is well connected by major highways. It is just 2 minutes drive to Mid Valley City, 5 minutes drive to Petaling Jaya, 10 minutes to Kuala Lumpur, and only 1 station away to KL Sentral. Lingkaran Syed Putra, Mid Valley City, Kuala Lumpur, Wilayah Persekutuan, 59200, Malaysia.